This week could be the week that the Coalition’s promise to abolish the carbon tax could finally go through. However, the process hasn’t been as smooth as the Coalition had initially hoped, with debates being delayed and the Palmer United Party (PUP) making no secret of the fact that they want to create a little bit of political chaos for the Coalition along the way. For the Coalition’s pledge to abolish the carbon tax to become reality, with the repeal needs to be passed by the Senate. As the Senate is comprised by a variety of crossbenchers from the Coalition/LNP, the PUP, the Labor Party, the Greens, and independents. The PUP has a total of senators, all of whom the Coalition need on their side for the carbon tax repeal to pass. But while the PUP’s senators are in support of abolishing the carbon tax, it’s a highly conditional form of support. Love or loathe it, the carbon tax has been one of the singular biggest measures employed by an Australian government to reduce the nation’s carbon emissions. Former Prime Minister Julia Gillard introduced the carbon tax, and when Kevin Rudd came back into power as prime minister, he pledged to eventually reform it to an Emissions Trading Scheme that would aim for similar carbon reduction targets as those the carbon tax hoped to achieve. However, when Kevin Rudd lost to Tony Abbott and, effectively, the Coalition, the vision became very different. Abbott included a repeal of the carbon tax as one of his fundamental promises in his prime ministerial campaign. 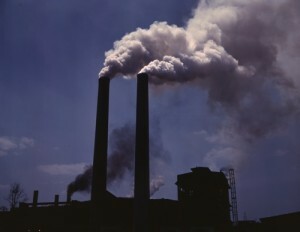 Since gaining power, Prime Minister Tony Abbott and the Coalition have pushed for the carbon tax repeal to go through. Now, the government’s persistence has paid off (for them, at least), with a repeal of the carbon tax all but certain. In theory, however, the repeal could’ve been passed on Monday, July 7. In part, this has been pushed back by the PUP – the very party and senators that the Coalition is relying on to get the repeal over the line. The biggest issue with the carbon tax has always been the “tax” part of it. While the tax has helped reduce Australia’s carbon emissions, it has also increased the cost of living for both home owners and business owners. And, as with anything, there are other viable solutions out there. The problem is that the Coalition is resistant to implement new solutions. The PUP, on the other hand, wants alternatives to be put in place, which includes a zero-cost emissions trading scheme (which means the scheme will remain dormant and spend $0 until other major countries, including the USA and Japan, show evidence of reducing their emissions) and blocking the abolition of the Climate Change Authority. Instead, the PUP wants the Climate Change Authority to remain, receive more funding, and be in charge of monitoring climate action by Australia’s five major trading partners. In addition to this, the PUP also wants a guarantee that the savings made from abolishing the carbon tax will go back to Australian families, particularly in seeing energy costs reduced. For home owners and business owners, the repeal of the carbon tax should see certain costs reduce, but they also need to be noticeable to be worth it – which is what the PUP wants. For businesses such logistic companies, factories, mines and more, the carbon tax repeal will bring savings. Still, the environment needs to be considered, and a viable alternative put in place. If the Coalition can pledge a commitment to an alternative that will continue to see carbon emissions reduce without businesses and families financially struggling, then the repeal will be passed with far less resistance. What do you think of the Coalition’s move to officially repeal the carbon tax? Will it be good for businesses and families? What alternative solutions would you put in place? Share your thoughts in the comments below.